Alice in Wonderland: The 2010, Tim Burton fantasy movie adapted from Alice in Wonderland made the audience relive a fantasy world. 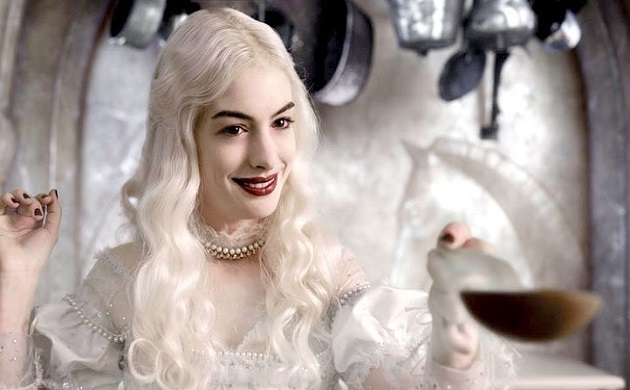 Her role as the White Queen sure did melt more than just the Red Queen’s heart. The divine, aesthetic look with her brilliant acting and brilliant casts makes Alice In Wonderland a movie to escape from reality. Anne Hathaway is one of those few American actors that does not shy away from taking not-American characters. Her character as Jane Austen in Becoming Jane proves her versatility of roles. The movie stars Anne as the British writer, Jane Austen while the movie weaved around the writer’s everlasting love for Thomas Langlois Lefroy. One of the most successful movies of the generation The Dark Knight is every thriller/action fan’s dream come true. From taking on the vulnerable role as Jane Austen to the feisty role of Catwoman, Anne Hathaway sure knows how to even outfeat even Batman himself. In Les Misérables, the audience are yet again spellbound not just by her empathizing character, Fantine but also by her singing skills I Dreamed a Dream. 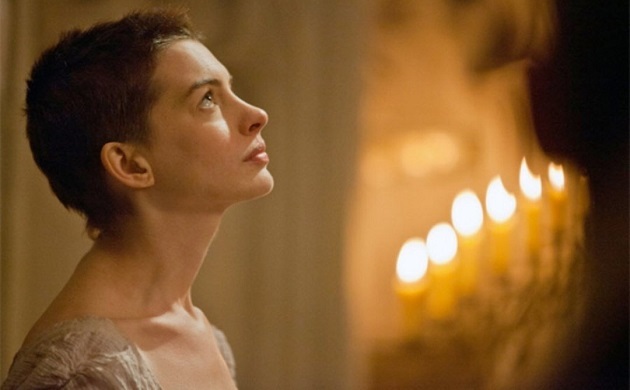 Her iconic role as Fantine, an adaptation of Victor Hugo’s book, Les Misérables was one that made her take home the prestigious, Oscar award. In the Devil wears Prada, Anne took on the role of a hard-working, young woman with dreams of climbing high. Her role as Andrae Sachs shows the harsh reality of the fashion industry and the rungs one must try to fit in, although with a happy ending. Her transformation from the shy, succinct assistant to an interdependent, vocal woman is worth noting.